Vintage 1970's Vogue Paris Original pattern features evening dress and slip designed by Nina Ricci. Loose-fitting dress in ankle or evening length, gathered into high fitted waistband, has above elbow length kimono sleeves with bias bands. Deep V-neckline with bnad, front button and self loop closings and bias self sash. 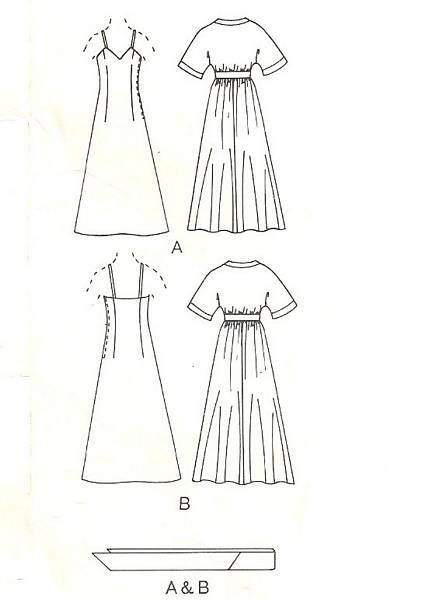 Close-fitting A-line slip has narrow straps and side zipper closing.